Part 90 DMR radio. Very cool as the in-car hotspot communicator. Found a pair of radio on Ebay at a price I could not refuse. 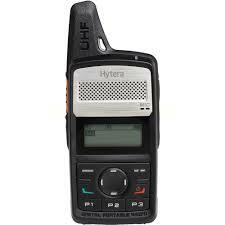 All programming takes place through the typical Hytera computer program we have seen for so many of the DMR radios. Software works well, although maybe not as simple as most ham programs. The PD362 is one of my favorite around the house and on the go radios. I have two in the glove compartment of my car and commonly use it between family members on licensed non-ham freqs.